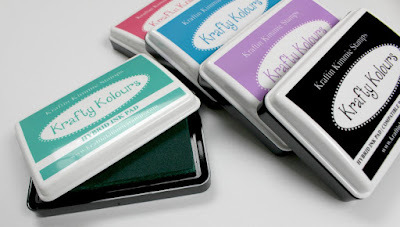 Delphine's place: Exciting Krafty News!! We have super exciting news to share with you today! Kraftin' Kimmie Stamps has been working on something top secret for the last few months and it's finally time to share! 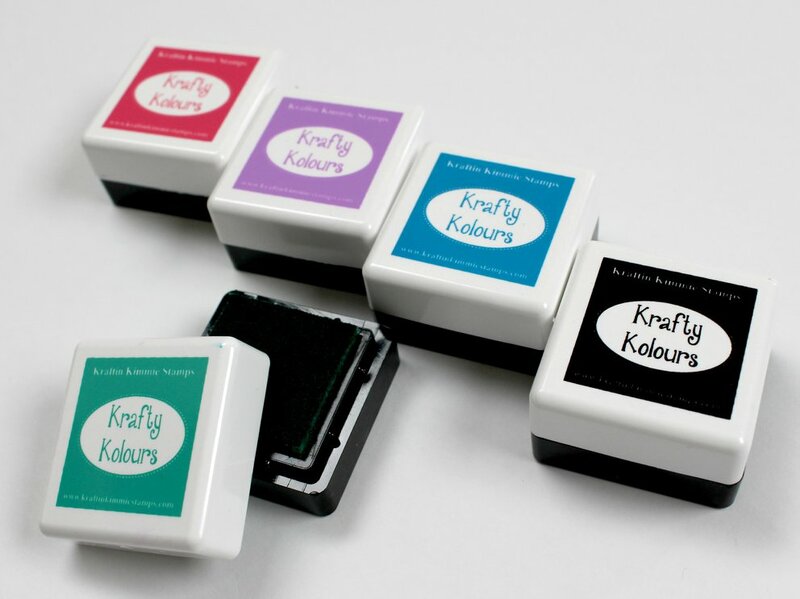 Today we are introducing you to KRAFTY KOLOURS INKS by Kraftin' Kimmie Stamps - a brand new product to the KKS line... Krafty Kolours INKS! These beauties are acid-free, archival and non fading! - They come in full size pads, mini cubes and ink refills! 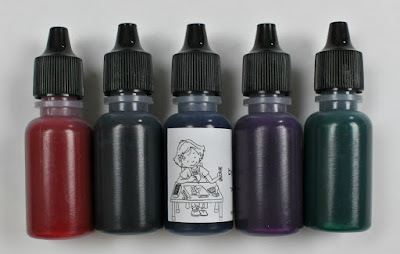 With these inks, you can directly sponge, stencil, watercolour, you can do all sorts of techniques with them... AND they are safe to use with pencils and alcohol markers!! 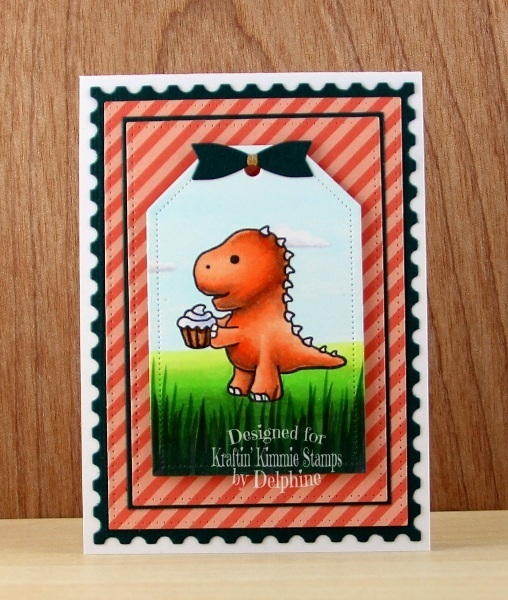 I stamped my Dino using the new Wicked Black Ink Pad, which gave a very crisp image! I then coloured it in Copics and used MFT and Avery Elle Dies. 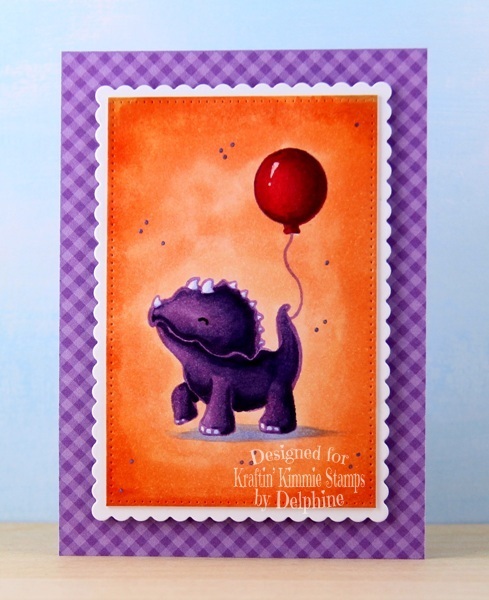 For this card, I stamped my Dino using the new Purple Pansy Ink Pad and decided to colour in no-line using Copic colours matching my ink - the colour of the ink pad is very close to V15:). You can buy all the large ink pads, mini cubes and refills individually OR in sets at a small discount! Plus there are TWO brand NEW stamp sets that are from the May release and which will ONLY be released as part of the special kits! ALSO Kimmie has chosen some amazing coordinating Bazzill Bling cardstocks to match the coloured inks and you can scoop those up as well! !